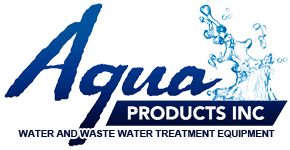 Q46H/62-63 Residual Chlorine Monitor - Aqua Products Inc.
Monitor Your Chlorine Reagent Free! Chlorine Monitor is an upgraded version of our proven Q45H system for continuous water quality monitoring of free or combined chlorine. Monitor capabilities have been expanded to include options for a 3rd analog output or for adding additional low power relay outputs. Digital communication options for Profibus DP, Modbus RTU or Ethernet IP have been added, as well. The Q46H system uses a polarographic membraned sensor to measure chlorine directly, without the need for chemical reagents. When needed, automatic pH compensation may be added for highest free chlorine measurement accuracy. Systems are available to provide 4-20 mA outputs for chlorine, pH, and temperature to allow easy CT calculations. Q46H systems are economical to purchase, economical to maintain, and provide long term accuracy and reliability for your chlorine monitoring needs.